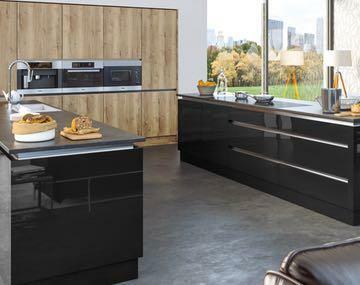 Dream Doors can help you maximise space to achieve your kitchens full potential. 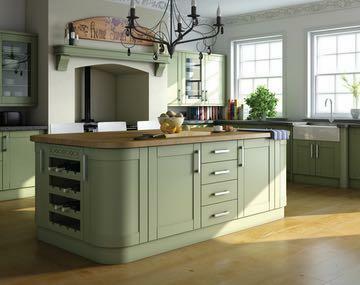 Whether you have a small kitchen, L-shaped layout or large space with an island, all of our kitchens can be made to measure meaning you never have to compromise on space or quality. 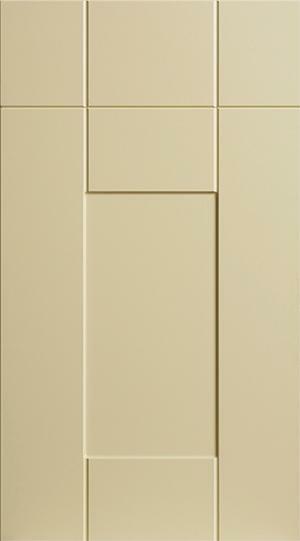 We can build cupboards to different heights, sizes and shapes with your choice of kitchen doors to complete. 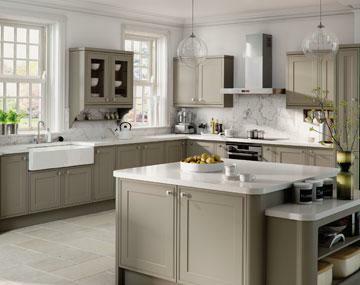 Visit your local showroom for inspiration and meet our talented kitchen experts who are able to offer advice and ideas to help create your dream kitchen. 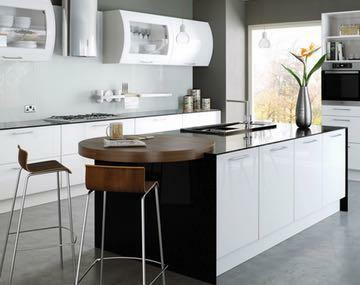 Perfect symmetry, clean lines and a sleek smooth handleless finish complement the modern feel. 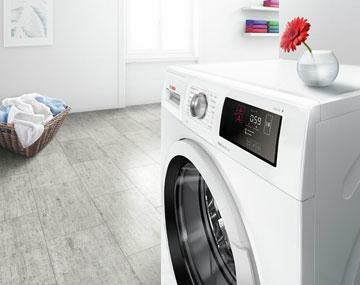 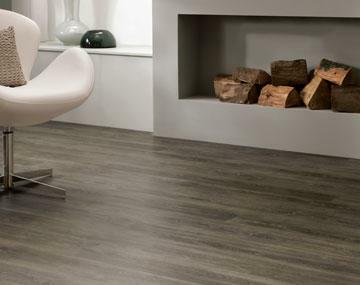 Characterised by their neutral tones, wood effect, and smooth finish, the style has a timeless appeal. 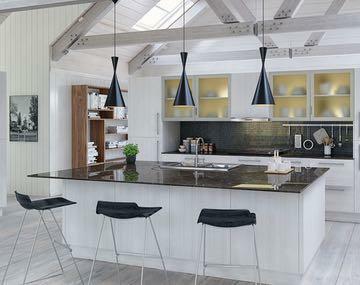 Understated simplicity, clean lines and rustic charm. 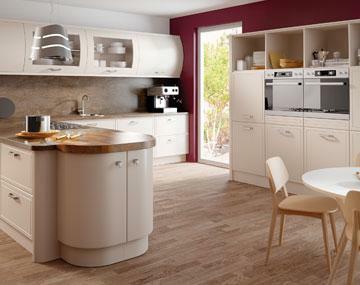 Complement light tones with metallics and bright colours. 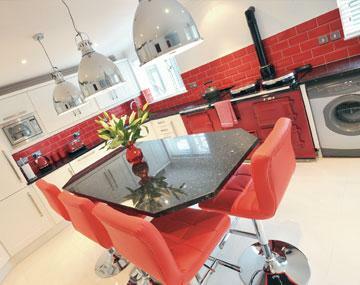 Explore our exclusive kitchens to find your ideal kitchen. 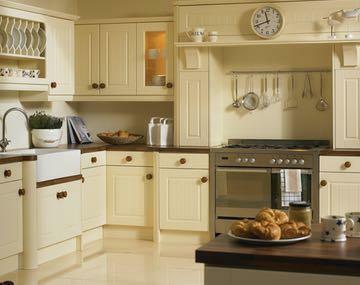 Is your kitchen looking a little tired and sorry for itself? 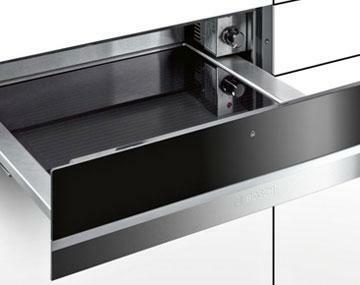 We have the perfect cost-effective solution. 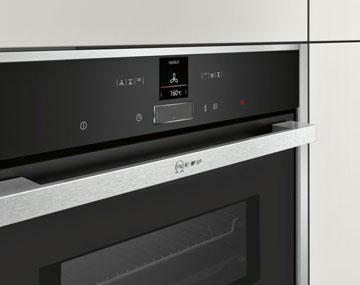 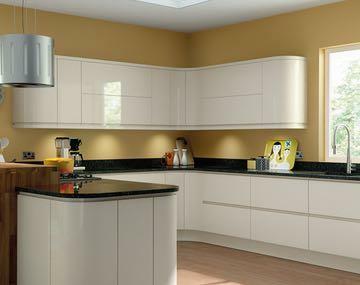 Dream Doors offer a comprehensive range of kitchen cupboard doors. 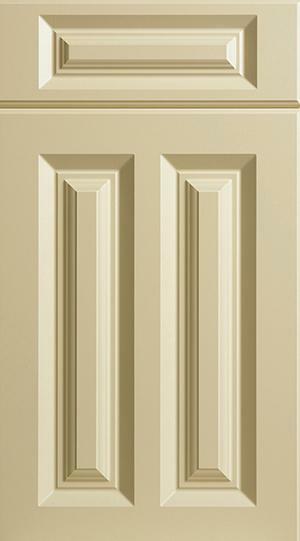 You can customise your choice of door by choosing from a range of different styles, colours and textures that will instantly transform your kitchen's appearance. 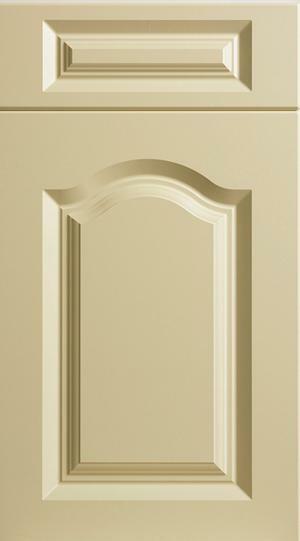 If your cupboard carcasses are in good condition, we can supply and install made to measure doors in a finish of your choosing. 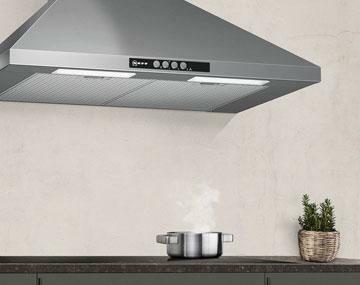 It’s worth researching the style of kitchen you would like and consider the parts of your kitchen that won’t be updated to ensure everything flows nicely and compliments one another. 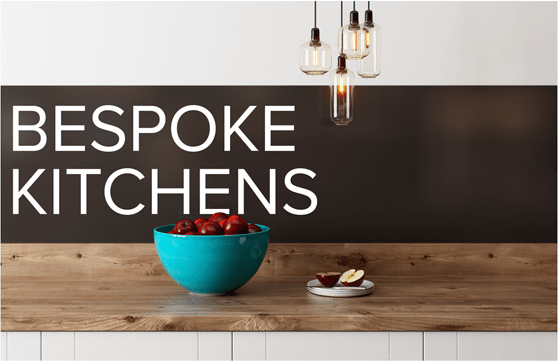 Each one of our nationwide showrooms have expert designers who can discuss and prepare custom kitchen designs for your project. 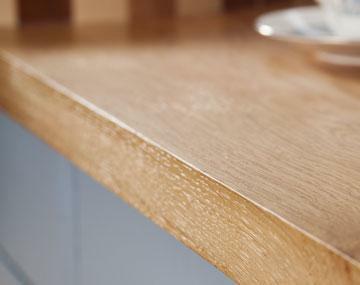 For every made to measure kitchen comes a made to fit worktop surface. 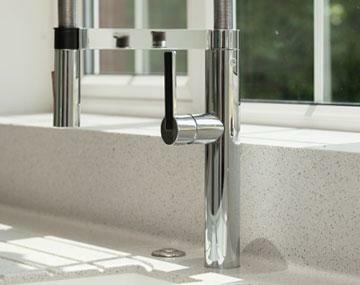 We supply a range of solid work surfaces in a selection of colours and finishes. 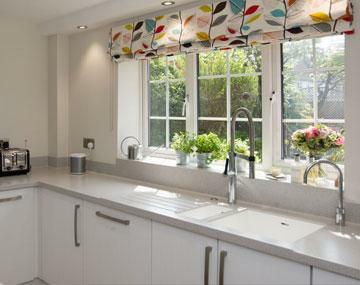 No two kitchens are the same which is why our kitchen worktops are always made to measure. 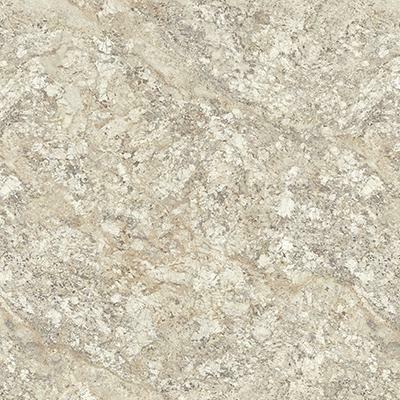 Choose from cost-effective Quartz Overlay to luxurious Solid Granite or for a more natural aesthetic, opt for a Wooden worktop. 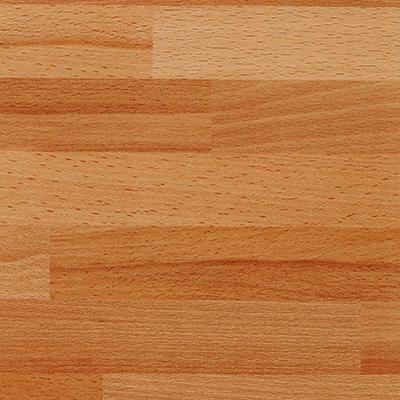 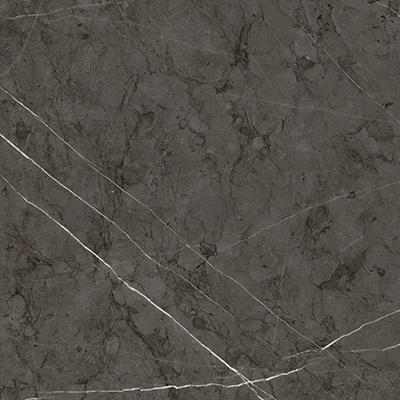 We also offer laminate countertops that offer many different effects to complete your kitchen design. 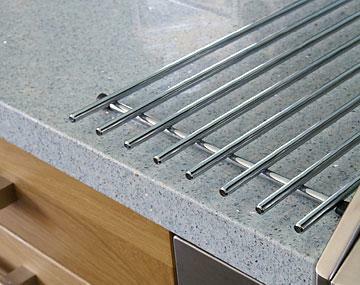 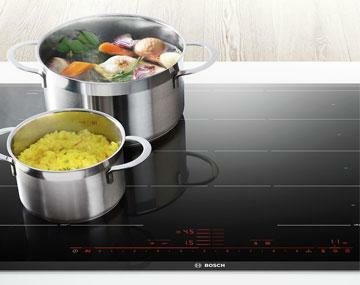 For more complex designs, our range of seamless worktops provide the perfect one-piece durable surface solution. 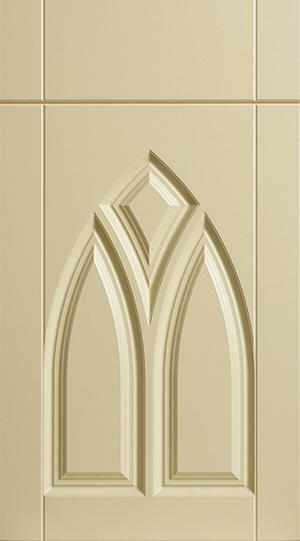 It is easy to mould and bend into any shape imaginable. 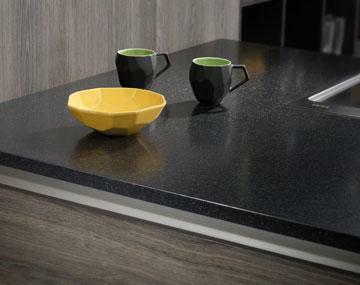 Seamless work counters come in a range of colours and can replicate materials like concrete and marble. 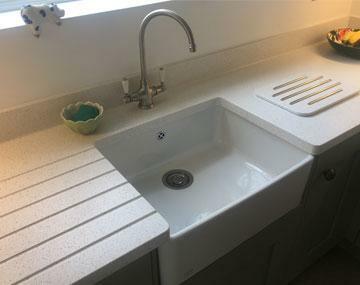 Furthermore, the smooth surface can be integrated into a sink, splash back and window sill for a clean and tidy appearance. 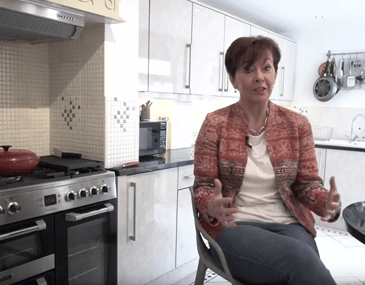 Redesigning or refurbishing your kitchen can sometimes be daunting and with so many options available from different brands and companies, you’re often spoilt for choice. 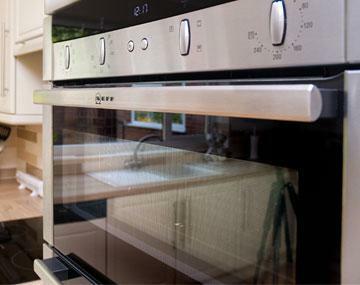 We understand that your specification is unique to you which is why all of our high quality kitchens can be tailored to your exact requirements. 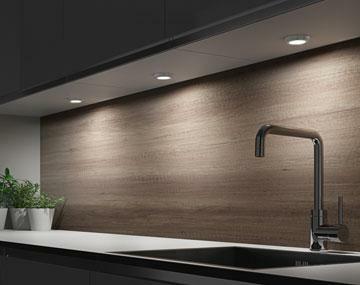 Our teams of creative kitchen designers consider your individual needs to ensure your kitchen radiates the personality and feel you want from it. 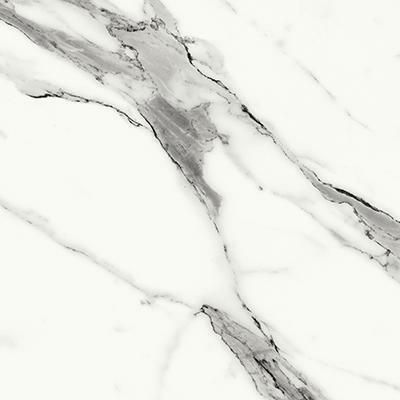 We listen to your personal requirements, take on board ideas you may have for your kitchen and can offer expert advice to give you practical considerations as well as inspirational design ideas. 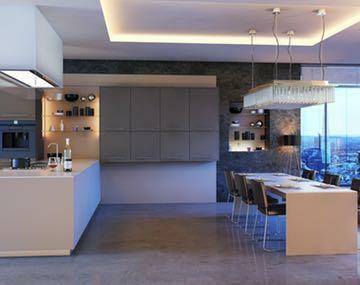 Your kitchen designer will guide you through the process, always prepared to answer any questions you may have. 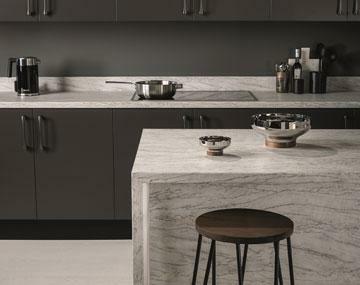 Our nationwide showrooms are full of inspirational room settings with a range of worktop surfaces and handles to choose from to complete your bespoke kitchen design. 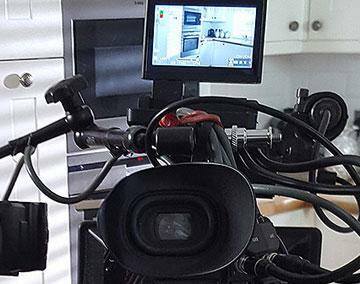 From the early stages of design to the final install, we are here to guide you along the way to ensure that your experience is seamless and enjoyable. 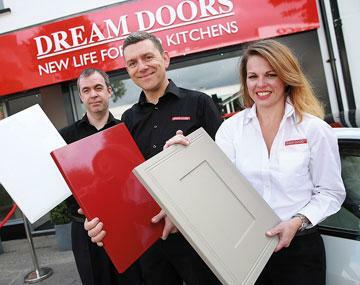 No two kitchens designed by Dream Doors are the same. 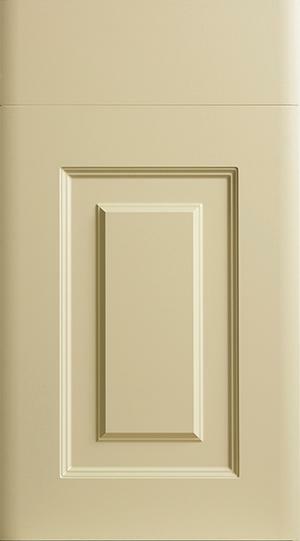 You have freedom of choice over the design and accessories that complete your kitchen. 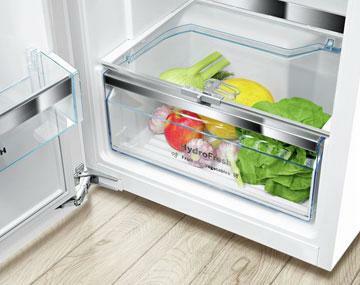 Clear your kitchen clutter with our innovative in-cupboard storage solutions. 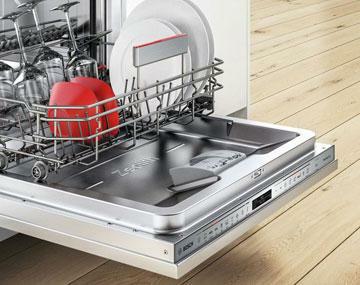 These clever space-saving kitchen accessories are perfect for utilising storage space in small kitchens and are easily integrated into our made to measure kitchens. 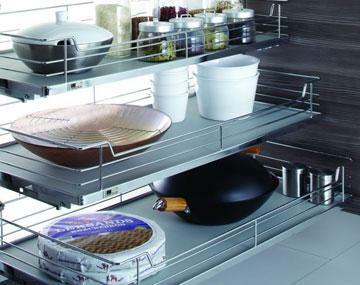 Carousel shelves, pull out racks and space towers all provide the perfect solution to help organise your pots, pans, utensils and pantry cupboards. 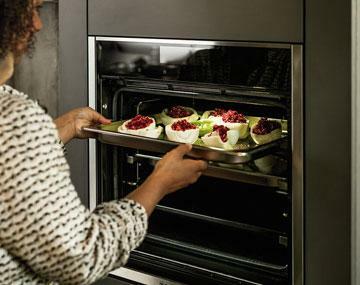 Providing ease of access for hard to reach corners, the Dream Doors shelving solutions are both effective and efficient in maximizing your kitchen's potential. 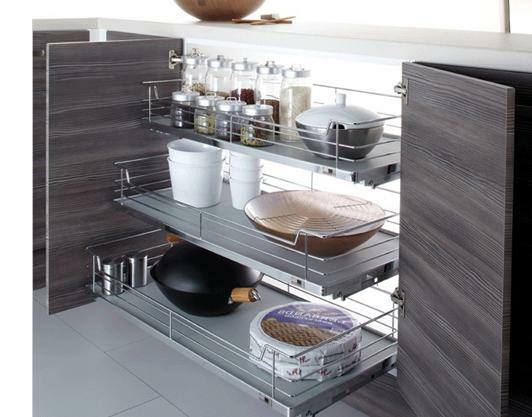 Choose from cupboard systems, drawer dividers or integrated bin solutions for smart storage methods that can be seamlessly incorporated in to your bespoke kitchen. 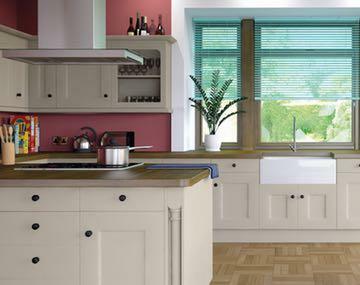 Use our online 3D kitchen designer tool and choose from a range of styles, colours and accessories to create your dream kitchen. 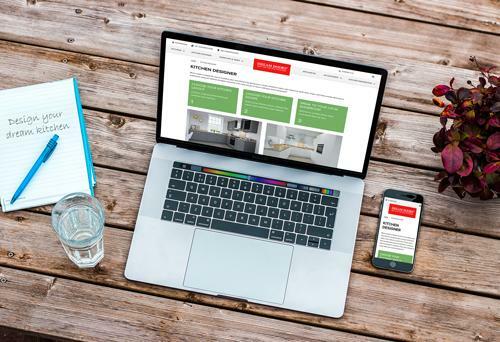 It’s easy to use and offers a great opportunity to experiment with different layouts and pallets to inspire your personalised design from the comfort of your own home. 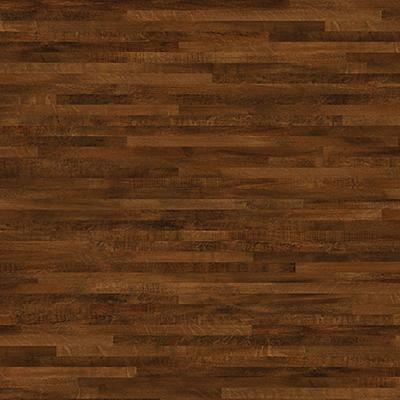 If you can’t decide, don’t worry. 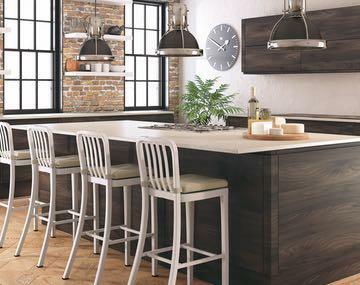 You can visit one of our nationwide showrooms that are full of inspiration where our talented kitchen designers will be happy to guide you and offer useful advice. 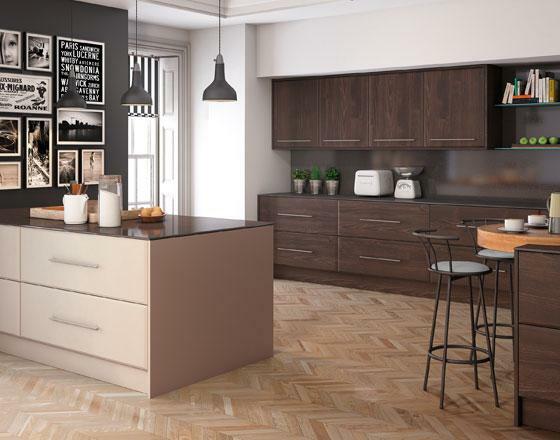 Our kitchen designers can create bespoke kitchen CAD designs to suit your tastes, practical requirements and finishing touches so that you get your dream kitchen. 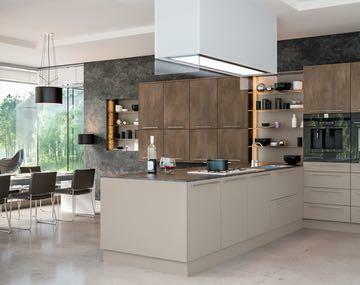 Take your creations home to visualise the new designs or book a home visit to discuss the options available to transform your kitchen layout. 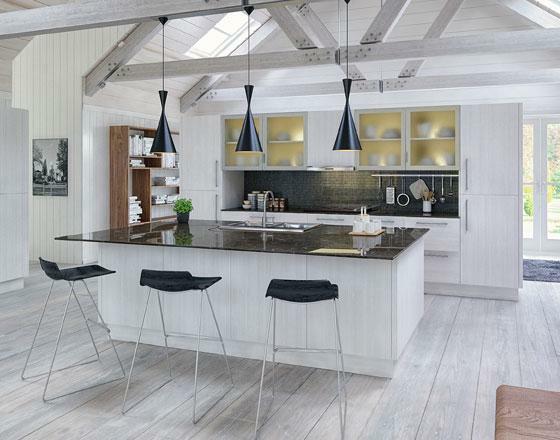 Whether you have a small kitchen or a vast space for entertaining friends and family, our kitchen design experts and tools will find the perfect bespoke kitchen for you. 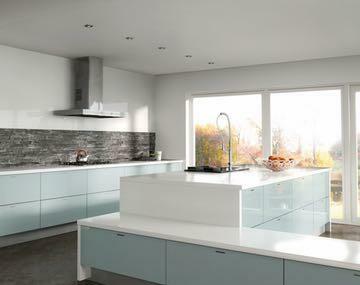 Try our online kitchen designer to start building your dream kitchen today. 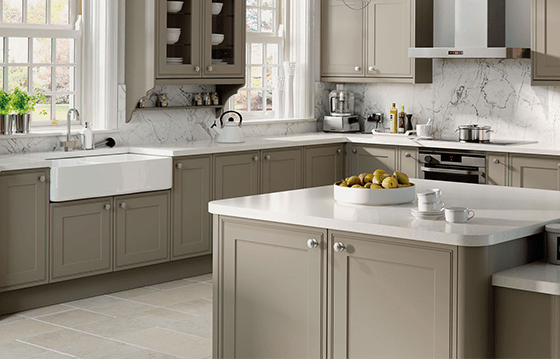 When you’re ready to take the next step or need some design inspiration, our kitchen experts will create a bespoke design that is made to fit and accentuate your home.